Call it a small block, call it a big block, call it something in between, but this car uses AMC power in the form of a stock steel 401 block. Sure, it's bored and stroked to about 430 cubic inches, but it's still a pretty small displacement motor. So we use nitrous. A LOT of nitrous. 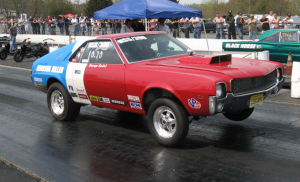 This car MAY get a monster AMC motor for 2011... get ready to HANG ON! This car replaced the 2002 Halfscale in an effort to accommodate Evan's growth spurt. It has already proven itself a winner, as Evan took home an incredible 7 (SEVEN!) Class Winner trophies, three Class Runner-Up Trophies, and a track championship in 2008. This car is a recent addition, and runs a refreshed 401 and a beefed-up 904 transmisson. 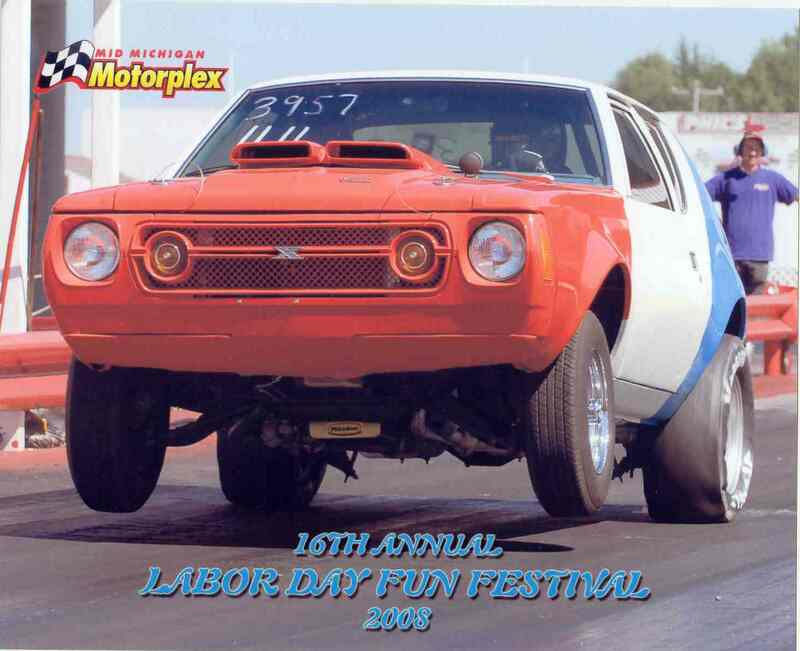 A real crowd pleaser, it ran a best of 10.88 in 2008. 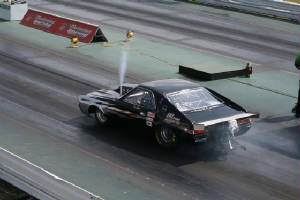 A "wheels-up" launch at Mid-Michigan Motorplex. Another recent addition, this car is set up to run in the Nostalgia Super Stock class. 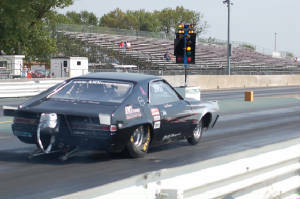 George drove it to the 2008 East Coast Nostalgia Super Stock Championship. It was also featured on Pinks All Out. 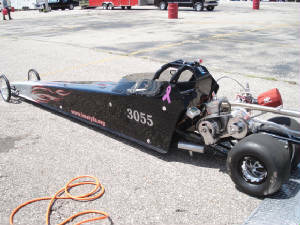 We will bring the car back to Michigan and started racing it again in 2009.